Complete outdoor rooms with matching and coordinating items. 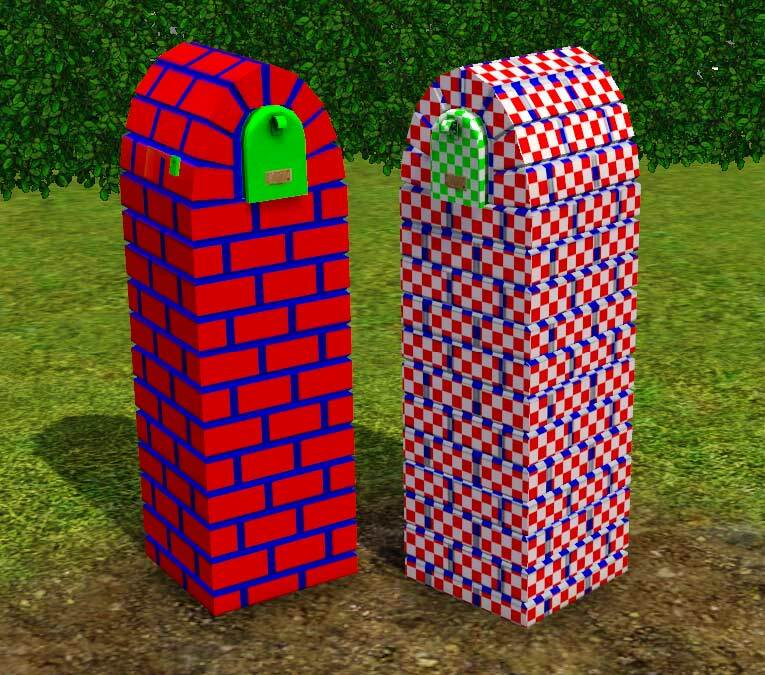 It's only right that I re-create the object that got me started in sims modding. 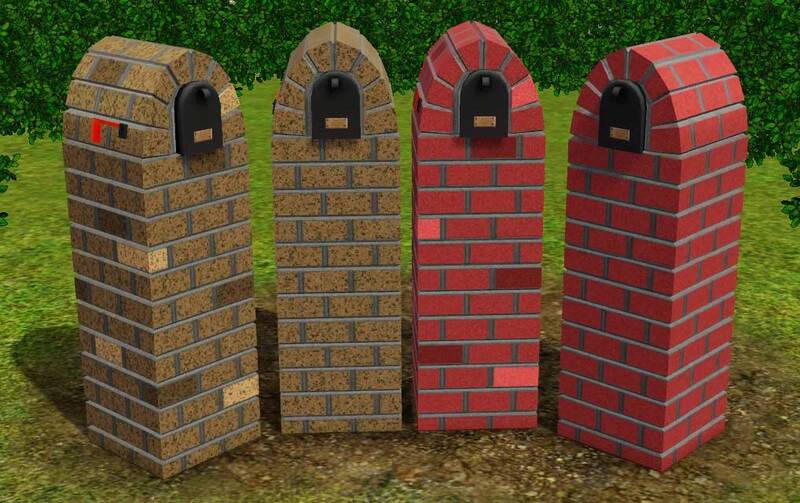 To use, download my Deletable Mailbox Mod and put it in your mods folder along with this mailbox. 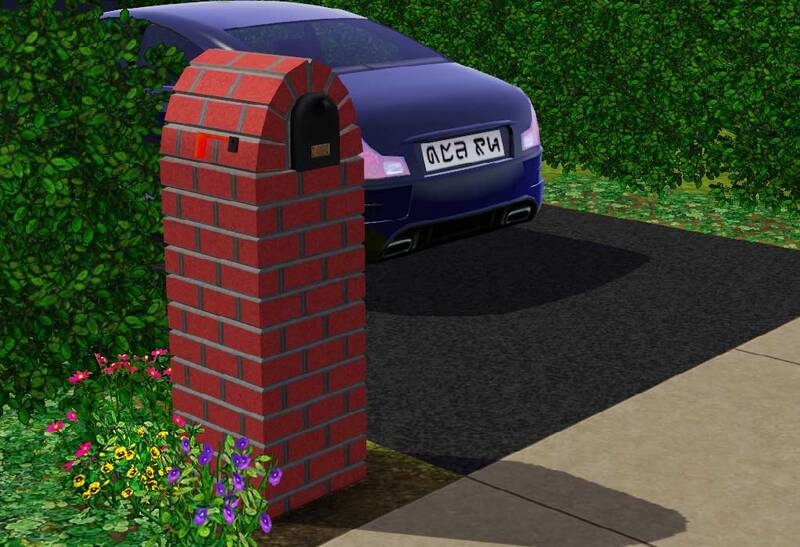 In Buy/Build mode, delete the default mailbox and replace with this one. Sims will reach into the bricks to put the flag up/down. The flag moves in the right place though. Thanks to orangemittens, Buzzler, Leesester, and Peter and Inge Jones.